We are all aware that having a good memory will give you a major advantage when it comes to revising and sitting your exams. 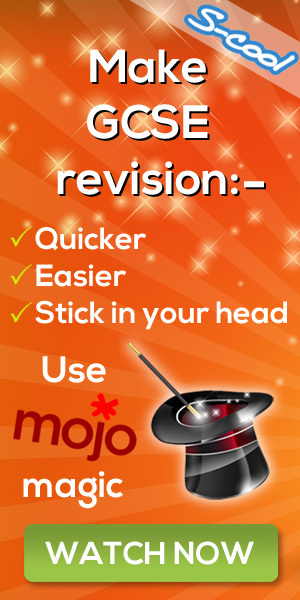 As part of revision season, we are going to give you the 5 top tips from our memory secrets app. This will give you a major advantage during the rest of the week whilst revising. The brain is very good at learning through association. Association is a method by which you link two objects or events together, so that become reminders or triggers for one another. For each subject place a random object next to you whilst revising for that subject. For example when you are doing your maths revision, keep a photo of past holiday near you. Whilst you are revising your brain will form an unconscious and powerful connection between the two. When you enter your maths exam picture the photo in your mind and it will boost your memory for maths! Memory experts state that they most effective way to boost memory is to make connections! A common strategy to advantage of this is to turn sections of your revision notes into a story. Make the key terms that you need to remember as characters in your made-up story and link them all together in a funny memorable narrative. For example; remembering the order of the solar system may lead to a bizarre story like this: “My Very Energetic Monkey Jumped Straight Up Near Portugal!” The more creative you are, the easier your funny stories will be. An acronym can be classed as a word that takes all of the first letters of a set of key words and turn them into a new one. For example; OIL RIG in chemistry is an effective acronym for Oxidation Is Losss, Reduction Is Gain. A very simple way to get a quick memory boost is to place facts that you need to remember in alphabetical order. This will help your brain to remember information far easier. As a general rule of thumb when information is well structured and ordered your memory is much more efficient. When you are revising there are always components of your revision that are more important than others. Try to exaggerate the most important parts of your revision by making notes in colourful ink, using large pieces of paper, shouting them out loud, and perhaps even doing something silly when you are memorising your key notes. Jumping on the spot whilst reciting your notes is a good one! The more you work out your brain, the better you’ll be able to process and remember information. The best brain exercising activities break your routine and challenge you to use and develop new brain pathways. Activities that require using your hands are a great way to exercise your brain. A healthy diet including lean protein, whole grains, fruit and vegetables are not only good for the body but can also help your memory. Eat more fruit and vegetables. This is generally a good thing to do all round but fruit and veg packed with antioxidants will help protect your brain cells from damage. Try “superfood” sources such as leafy green vegetables such as broccoli, spinach, romaine lettuce and Swiss chard. Fruit such as bananas, apricots, mangoes, cantaloupe, and watermelon are also good. Fish is a rich source of omega-3 and helps the brain. “Fatty fish” such as tuna, salmon, halibut, trout, mackerel, sardines, and herring can help boost brainpower. Research shows that diets high in saturated fat (from sources such as red meat, whole milk, butter, cheese, sour cream, and ice cream) increase your risk of dementia and impair concentration and memory. When you’re sleep deprived, your brain can’t operate at full capacity. Creativity, problem-solving abilities, and critical thinking skills are compromised. Whether you’re studying, working, or trying to juggle life’s many demands, sleep deprivation is a recipe for disaster.